Enjoy a more relaxed atmosphere when you rent from us, no hassles, no waiting in long lines. Fill out the form below for availability. We have multiple day, weekly and long term rentals! We deliver to other lakes within the Lakes Region for rentals of 5 days or longer! Notice: All Multiple day discounts are for consecutive days only. No Refunds will be made for unused days. Single day rentals are not available. Ask about our long term leasing program multiple weeks, months or by the season! We deliver to other lakes within the lakes region for rentals of 5 days or more. All over-night/multiple day rentals require a $500 security deposit. We strongly suggest against operating boats after dusk, due to the high risk of collisions. Note: Fridays and Mondays of holiday weekends are considered holidays. A day is considered 9 am-4 pm. Reservations should be made in advance and secured with a $50/day deposit. Refunds on depositis will be made when cancellations are received at least 2 days in advance. Jay's Marina may cancel the rental at their discretion and refund the deposit due to lessee's inattention to instructions or unfavorable weather. 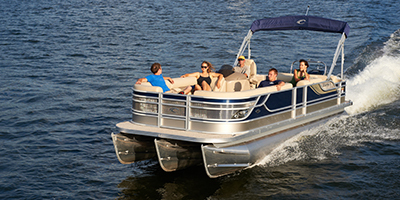 Customer is totally responsible for any injuries and/or loss, damages and liability for the rental craft and all property of others. The marina carries no insurance for this. A charge based on $120/hr ($2/minute) will be assessed on all rentals not returned on time. A $500 refundable security deposit is requried on ALL rentals. Sorry- No refunds on unused time. All safety equimpment is provided. Renters must be 21 years or older and possess a NH boating certificate. Lessee pays for all gas and oil. A trashing fee of $30 minimum + $30/estimated additional hour of extra cleaning will be charged to lessee if boat returns in a "trashed" condition. Any water sport is done sollely at lessee's risk. No pets or cooking on the boats. Just fill out the following form and we will get back to you with availibility! NH Computer Services maintains this site.